White as the basic tone combined with wood grain chairs. Along with the aging of the welfare facilities of School of Medicine, the preparation of renovation began in August 2013. A temporary store was opened, and the welfare facilities were reopened in July 2014. 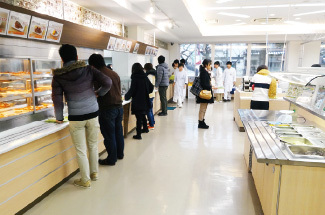 We invited the students and faculty of Takaramachi campus to give nickname for the facilities. The cafeteria was named Medeal, and the co-op store was named Takara Mart. The dining hall on the first floor offers daily specials and self-service food bar. We added cash register to reduce congestion. We also provided seats at the counter or wheelchair-accessible seats. The business hours in the evening are prolonged, from 18:00 to 19:30, to serve dinner to the busy medical students. The store on the second floor was renovated by widening the space in front of cash register and the aisles. We also added more food and books to sell. 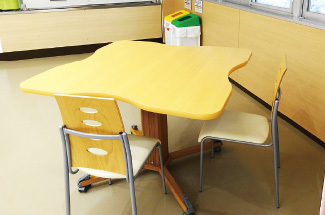 In particular, we added national exam books and medical books, and set up a fitting room for trying white coat. 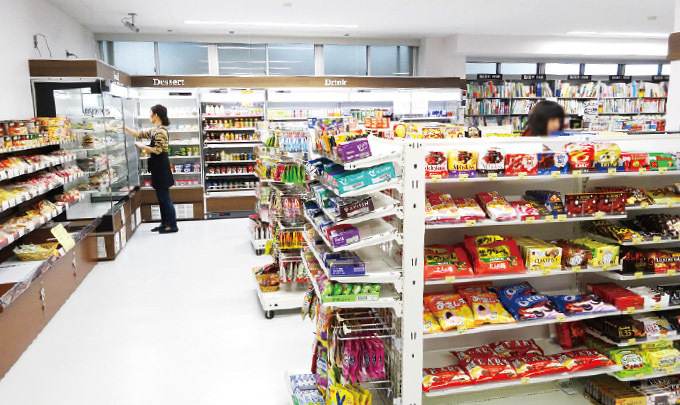 We made the store as a one-stop service that provides all kinds of goods and services necessary for medical students. 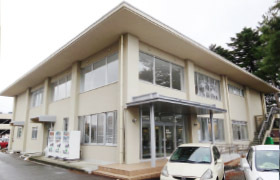 Compared to condition before renovation, the number of customers for both facilities increased significantly. 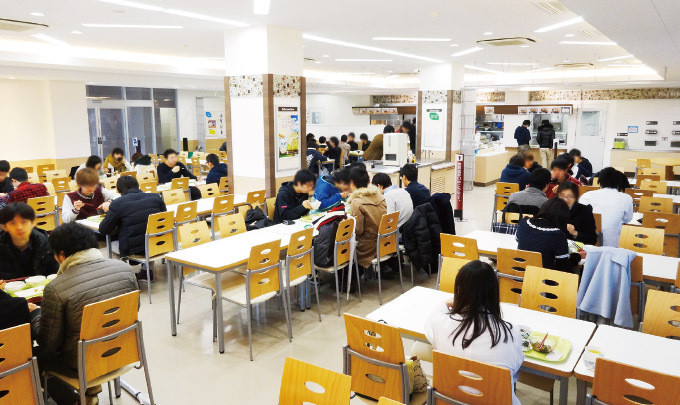 The number of customers for cafeteria increased about 1.7 times, while the same figure for co-op store increased about 1.2 times. We want to create a cafeteria and co-op store that will satisfy our members by responding to the members’ requests and easing congestion. 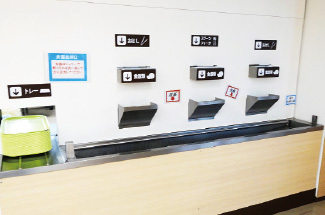 Users return dishware into the corresponding stations. A wide area between food counters and self-service bar, avoiding congestion. The seats welcome those who come alone. Wide aisle for a better view of the products. 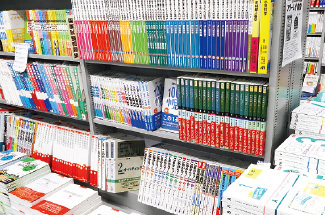 We provide medical books and national examination preparation textbooks. 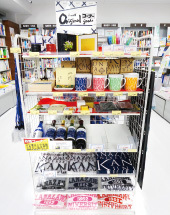 A large quantity of merchandise, including sake, Wajima lacquer ware and Kutani porcelain. Unauthorized copying of text, images and other aspects of this website is strictly prohibited.